Walking in the rain is ok as long as you start in the dry. Saturday was different. 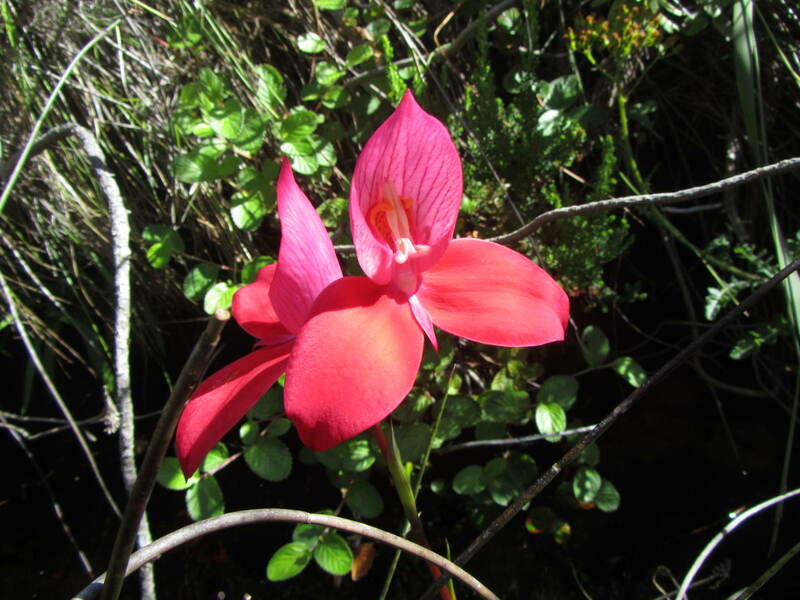 Karen had organised a permit for Orangekloof – limited to 12 people per day and very much in demand at this time of the year, with the Red disas in bloom. It was raining as we started – not too heavily but clearly not likely to lift any time soon. 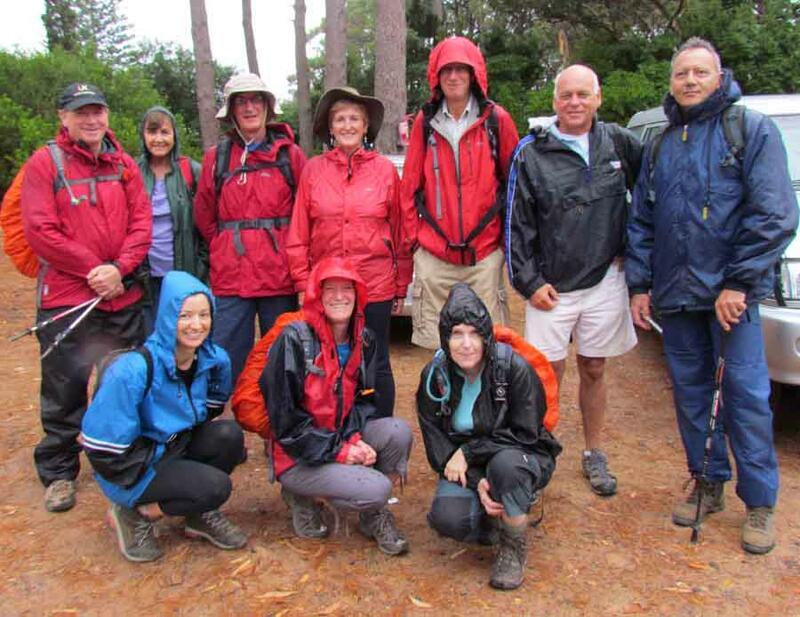 But with permits in short supply and looking like a hardy group we put on our waterproofs and set out anyway. At the start it was not too bad, just a few drips and plenty of mist, with more moisture generated from inside the rain gear than from outside. It certainly was not cold. We had planned to do Hell’s Gate and climb up to the Woodhead Tunnel, but with the wet it was going to be too slippery, so we turned off the jeep track on to the Disa Ravine path. 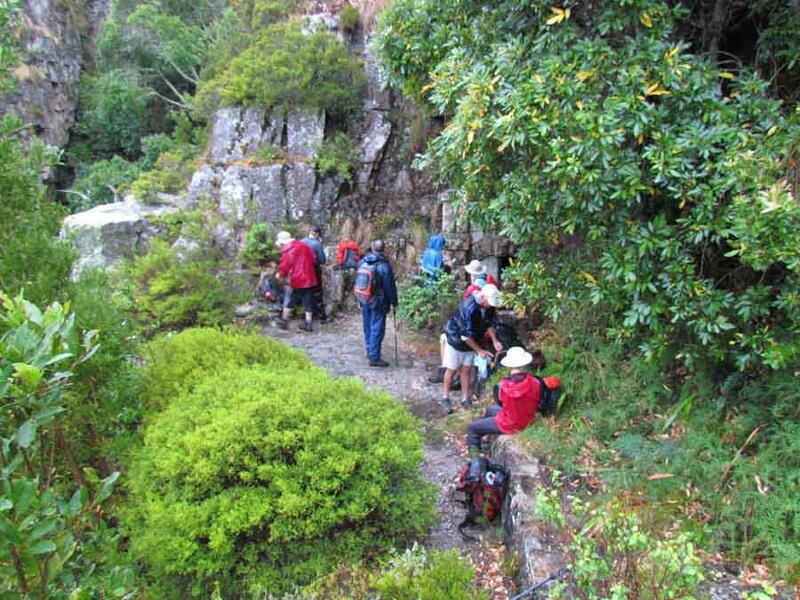 The idea was to get too the Woodhead Tunnel, possibly see the disas there and then on to the top of the ravine and return via the concrete road to Constantia Nek. 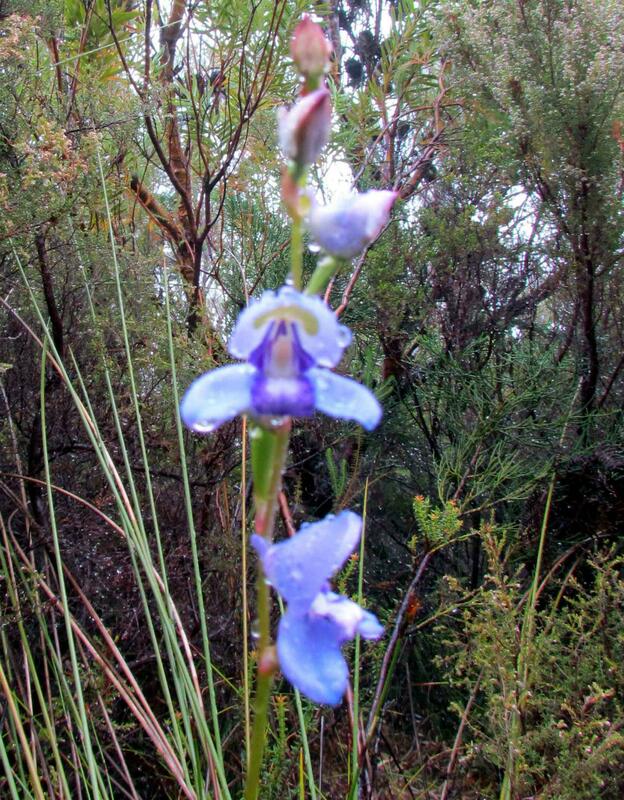 As we got closer to the Disa Ravine path, the mist closed in, but the Blue disas decorating the path were superb. The rain got heavier but by now we were pretty wet, so decided to at least reach Woodhead Tunnel for ‘tea’. We were rewarded with a beautiful cluster of disas just above the tunnel and I was mad at myself for forgetting my newly repaired camera. I think Rodney was the only one who had actually brought real tea and we watched with envy as he poured a steaming cup. There was not shelter and have achieved the initial objective of seeing the Red disas, it was a unanimous decision to return via the same path and head for the dryer lower slopes. By this time we were all fairly well soaked but as we neared the parking area the rain seemed to disappear and we started to dry out. The idea of a warm fire and a cold beer enticed Karen, Keith and myself to the Constantia Nek Restaurant, while the others headed for home. Thanks to Karen for organising the permit – always worth it in spite of the wet. Shelley & Meier Tour Oct 2012, a set on Flickr. The first three days of the tour with Shelley and Meier Altman, from Perth, Australia. 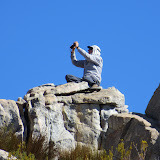 A brilliant few days in the Cederberg, the weather was kind and we had some great hiking. This was one of the most interesting and diverse tours I have done this year. 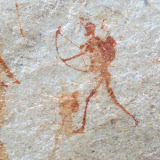 It included three days in Maltese Cross, the Wolfberg Cracks and Wolfberg Arch and the Savilla Rock Art Trail, before heading down the West Coast to visit Bird Island at Lamberts Bay and finally heading home along the West Coast. I met up with Shelley and Meier at their accommodation in Milnerton. We got off to a good early start from Cape Town and headed for the Cederberg via du Toitskloof, Slanghoek Valley, Ceres and the Gydo Pass. I had not done the southerly route before, so the Gydo Pass and the road between Op-die-berg and Matjies River Nature Reserve were new to me. That alone was a worthwhile experience as it is a most spectacular pass. The tar ends about 20 km outside Op-die-berg and it is not long before the fantastic rock formations of the Cederberg start making their presence felt. 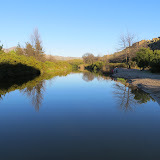 Being the end of a fairly wet winter, the stark Cederberg terrain is relieved by plenty of green patches and there are quite a few strongly flowing streams along the route. The patches of vineyards, fruit trees and olive groves in the deep valleys add to the add another dimension as the brown ribbon of road winds into the distance. We arrived at Sanddrif a bit early for the room to be ready and decided to head off immediately to tackle the walk to the Maltese Cross, having lunch on the way. It is very easy to underestimate this walk as it is often regarded as a warm up for the longer walk through the Wolfberg Cracks to the Wolfberg Arch. It is quite deceptive and tougher than it looks as you are climbing roughly 600 meters, and the path is quite direct to the first ridge. With regular stops however and a bit of mutual encouragement we made it up the steepest section. Once on the ridge it is a bit easier going with the trek up the last section of valley to the plateaux temptingly revealing the top of the ‘Cross’ before it disappears again. 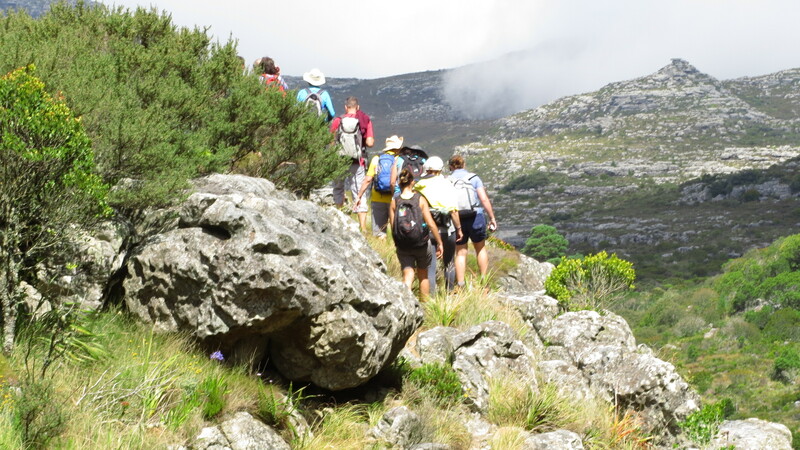 Suddenly you are on flat plateaux and the magnificent rock structure of the Maltese Cross dominates the path ahead. If you have not seen it before, nothing can prepare you for the size and uniqueness of this rock outcrop. We took a slow walk to the base, with Shelley shooting off the path to get a different angle for a photograph or seeing a special shot. If is only proper to spend some time here to appreciate the ‘Cross’ and the surrounding environment. It was also time to unpack the lunch that we had brought along and enjoy some refreshment. The walk back is much easier and we were able to appreciate the magnificent views all the more. We were back at the car by 4p.m. and ready to head for our overnight accommodation at Sanddrif. The timing was good to get the fire going to cook some angel fish for dinner. After a long drive and great walk and the good company of Shelley and Meier it was a satisfying day, but did not take much to get to sleep once the head hit the pillow. Posberg Nature Reserve – Aug 2012, a set on Flickr. The first thing that comes to mind when the name Posberg is mentioned is flowers. The reserve is a privately owned piece of land within the boundaries of the West Coast National Park. It is managed by SA National Parks, but is accessible to the public only in August and September each year when it is opened to show off the magnificent array of flowers. The best way to visit the reserve is to set a day aside, park at the gate and follow the Klipspringer hiking path up on to the ridge. 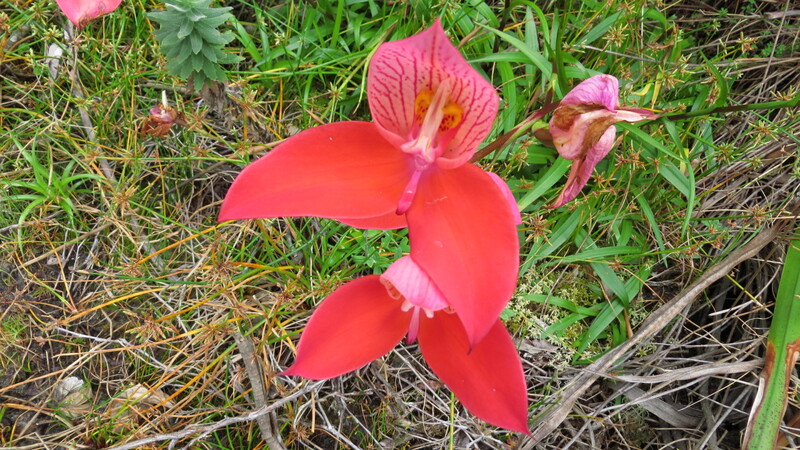 This way you get to see both the detail of the individual flowers, as well as the incredible flower carpeted expanse of open veld and the views to the sea. If you are on the ball and book early, you can also arrange an overnight hike in the reserve during this time. 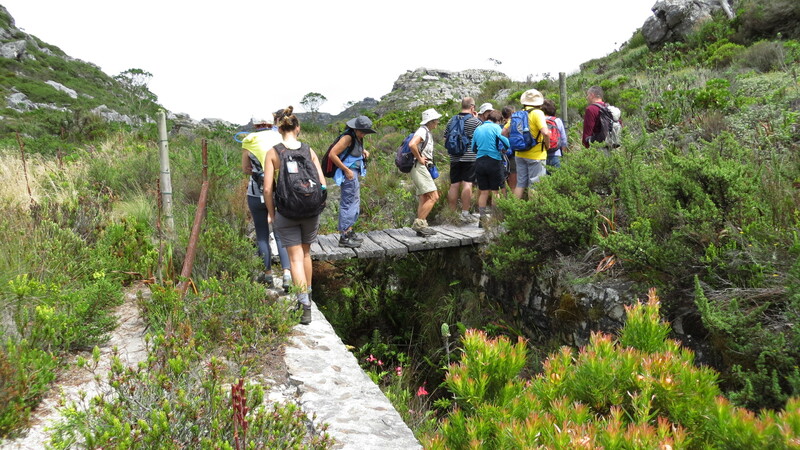 The trail follows a circular route and the overnight site is close to the beach at Plantjies Bay. You will need to bring your own tent and food supplies, but it is a beautiful experience to spend the night under the stars. For those that do not have the time or the inclination to walk it is possible to drive the scenic routes. It can be done in an ordinary saloon car, although a high clearance vehicle is preferable. At various parts of the route you will be able to see the Atlantic Ocean, Saldhana Bay and the port of Saldhana, Langebaan Lagoon and the West Coast National Park. Within the West Coast National Park, on your way back, you can visit the site of the discovery of “Eve’s” footprint at Kraalbaai. Dated at 117,000 years old it is proof of human habitation of the area during the Halocene Age. 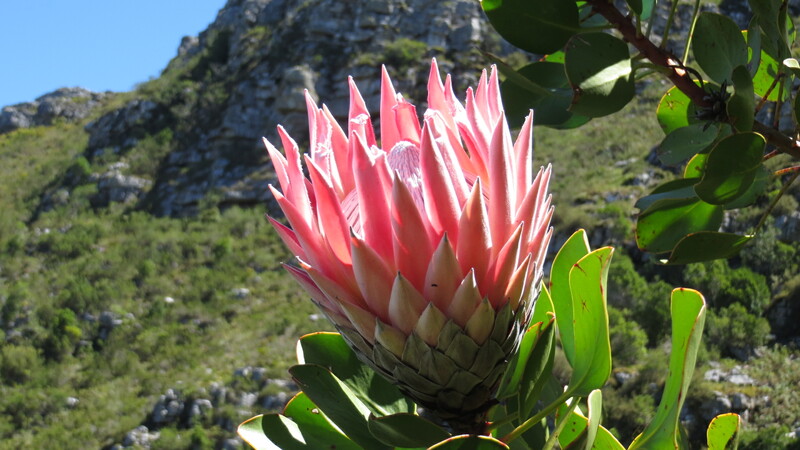 For flower tours, both hiking and driving contact info@afrukaecotours.co.za or frank@slackpackersa.co.za. We cater for tours for one up to ten people or complete the contact form and we will get back to you. 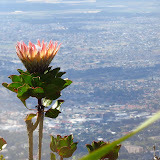 Visit our web site at www.afrukaecotours.co.za.